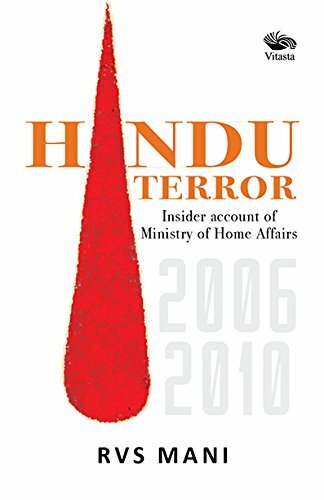 What role did ministers like Shivraj Patil, P Chidambaram, AR Antulay, Digvijay Singh and officials like Chitkala Zutshi, Dharmendra Sharma, Hemant Karkare, RV Raju play in the Hindu Terror narrative? Here is a version of a man who almost was taken captive and was to be traded for release of Ajmal Kasab, but saved by sheer providence. In his insider account, author RVS Mani discloses how the country’s internal security establishment functioned in the period of 2004-2014 when India faced some of the bloodiest terrorist carnages. This former Home Ministry official posted in the Internal Security Division between 2006-2010 poses several questions which the nation should seek answers to.